Dr. Eric & Lynn Miller teach music improv and bio-guided music therapy in Delhi, Pondy and Banglaore, catching some of the wonders of India in between! The Society for Complementary Medicine proudly presents a series of seminars in music improvisation, music therapy and a level 1 training in Bio-guided Music Therapy. Oct 20, 2014 Lynn Miller – Music Therapy and Music Improvisation. Oct 27-28 Pondicherry – check back for info! Oct 31 – Bangalore Univ. This course will benefit Music Therapists, Psychiatrists, Psychologists, Nurses, Occupational Therapists, Social Workers and all professionals who are interested in the scientific and clinical use of music for healing. This seminar reviews fundamental concepts of Bio-guided Music Therapy (Miller, 2011, Jessica Kingsley Publishers of London). The session provides the music therapy practitioner with a rationale, historical context and overview for utilizing real-time physiological data driven music therapy. Interventions are outlined for various purposes and populations. Some target complaints discussed include, stress, anxiety, high blood pressure, Raynaud’s disease, neuro-muscular deficiencies, ADHD, Autism, depression, phobias, and addictions. Participants will gain hands-on experience creating musical environments based on real-time physiological output of muscle tension, heart-rate, skin conductance and EEG brainwaves. Participants will also gain a general understanding of the use of biofeedback measures of heart rate, temperature, blood volume pulse and EEG in Bio-guided music therapy.Please feel free to bring your own biofeedback devices. We will also have some on hand for those without biofeedback equipment. This opportunity comes to India for the first time, thanks to the initiative taken by a group of Music Therapists along with AIIMS, Delhi. This non-residential 2-day certificate course in BGMT conducted by Dr Eric Miller is being offered at a fee of only Rs 10000/- per participant (inclusive of course material and certificate). Those who are interested in registering for this course may please write to Ms Meena Gupta, Counselor and Therapist, on guptameena12@yahoo.co.in or call her on 09871347559. The number of seats are limited and therefore advance booking will help reserve the seat. Ms Meena Gupta may also be visited on her website www.meenawellnesstherapist.com. We are pleased that you will be joining us for this premiere Level 1 training in India! This course will satisfy the didactic classroom component of the Bio-guided Music Therapy Level 1 training. Upon completion of the Bio-guided Music Therapy Level 1 certificate for the classroom training, you will be qualified to proceed to conduct your minimum 20 clinical session hours and 10 personal training hours and 3 supervision hours, required to fulfill all Level 1 competencies at which time you will receive the Level 1 Clinical Practitioner certificate and you will be eligible to proceed to Level 2 training. You are responsible for arranging your own clinical session hours, personal training hours and supervision hours. You are welcome to work out a supervision arrangement with your current supervisor (if qualified) or may elect to pay for outside supervision by a credentialed BGMT practitioner through the Society for Complementary Therapies, the Biofeedback Network, World Federation of Music Therapy or other individual or professional sources. 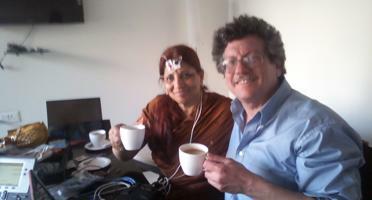 Ms. Meena Gupta will be available in India and Dr. Miller will also be available when in India or via Skype from the US. You will also be responsible for choosing and maintaining your own physiological monitoring system. While we will have several systems on site at the workshop for training purposes, you will need to decide on a system that meets your clinical needs for the population you intend to work with. For ease of instruction, we will be demonstrating many of the skills on the MindDrive system running BioDisplay Beta software. You are welcome however, to bring your own system to the workshop so that you can learn on and adapt concepts to your own device. There is still time to pre-order a system in time for the workshop if you do not have a system or would like a portable device. Here is a partial list of systems you may able able to locate online. We will have a few of the low-end units available on-site. 1. eSense GSR for Android or iPhone $99. ON SITE! Please let us know as soon as possible if you are interested in pre-ordering any of these systems. 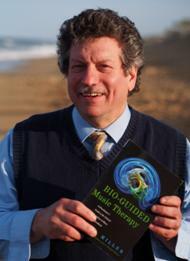 You may also pre-order our reference manual book Bio-guided Music Therapy by Dr. miller for $27. 1. Participants will become acquainted with fundamental principles of Bio-guided Music therapy. 4. Participants will be able to conduct GSR & HRV guided relaxation training with music and biofeedback tones.